The controller chip below the autoboot ROM is made by AMD. 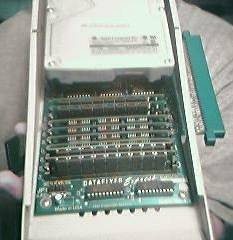 The Dataflyer Express came in three different flavours, IDE Only, SCSI Only and both IDE and SCSI. 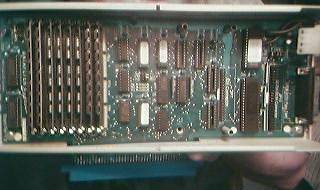 It also had 8 x 30pin SIMM sockets for up to 8MB of additional RAM and could accept both 1MB and 256k SIMMs. The SIMMs must be added in pairs. 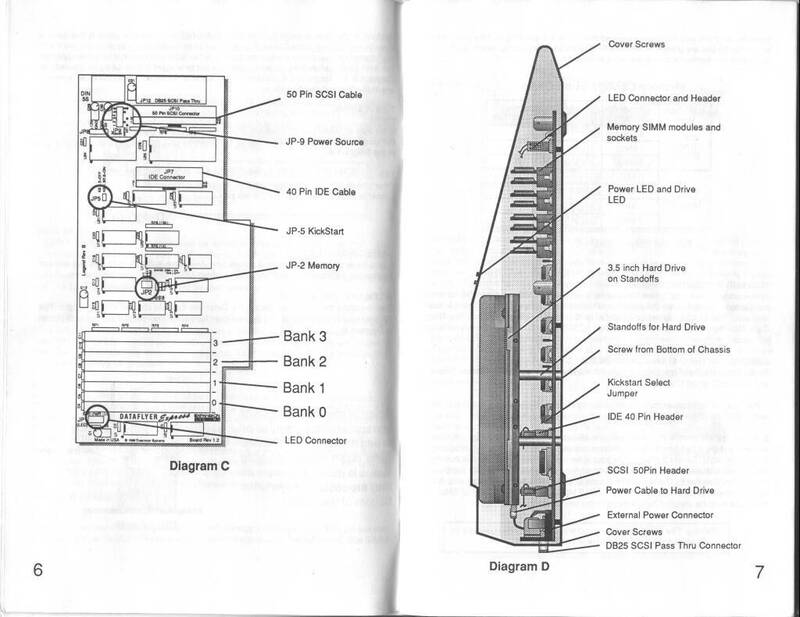 The unit PCB itself may have been simply a Zorro II card fitted in the a box designed to fit the expansion socket of the A500 using the female edge connector, because it could be removed and placed in an A2000. 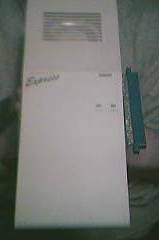 The Dataflyer Express would also take advantage of the Baseboard if it was installed.